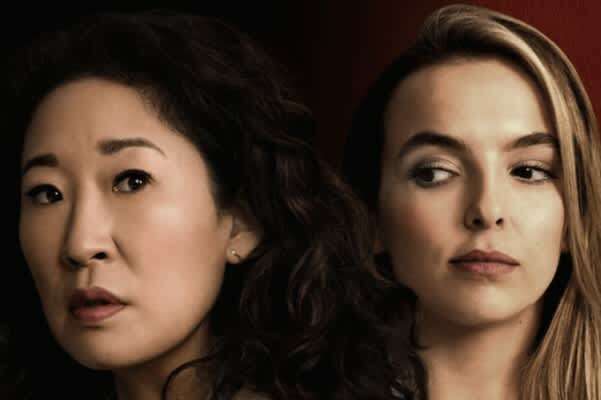 Earlier this week the best movie, TV and radio writers came together for The Writers’ Guild of Great Britain Awards 2019. You don’t often see writers at televised awards ceremonies. We’re an unloved category on most glitzy nights. Our natural inclination to introversion and perceived lack of dress sense define us as bad telly. The awards aren’t televised but they do attract some of the biggest names in the business, while reminding producers, agents and commissioners how great stories and the people who tell them remain at the heart of our creative industries. For the second year running, Sarah Kendall and her one-woman storytelling series Australian Trilogy won the award for best radio show. I was one of the judges when she won in 2018. She was the clear winner then and that was also the case this year at the awards. (That’s an astonishing achievement for a category that has in recent years rewarded some of our greatest comedy writers and performers including John Finnemore, Susan Calman, Marcus Brigstocke and Mark Steel). Sarah’s stories are intensely personal, plus she is the only performer in the show. As writers you may think there’s not a lot you can learn from her awards win. But I can’t recommend these stories highly enough. Listen closely! They are not just funny and moving, they’re beautifully constructed. Everything you need to know about how to write funny, gripping stories for an audience to laugh at can be heard. KEY TAKEAWAY: Comedy can get you so far – even the funniest scripts need to make your audience desperate to find out what’s going to happen next. The other nominations in this category were Deadlines by Jessica Hynes, and Ability by Lee Ridley and Katherine Jakeways. 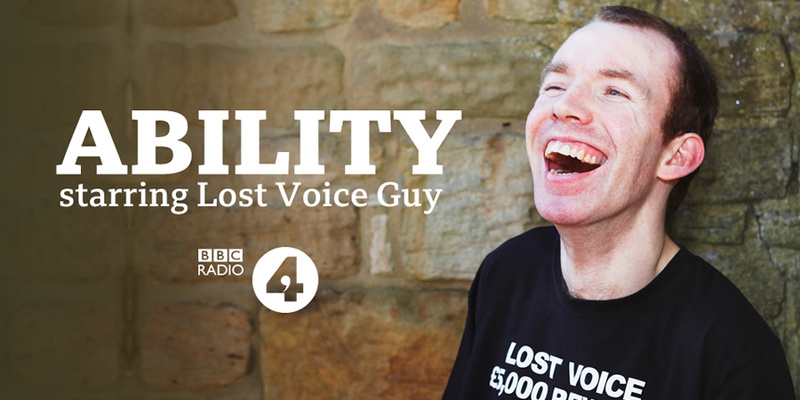 Lee is better known as ‘Lost Voice Guy’, the comedian with cerebral palsy who won Britain’s Got Talent. You may notice that of the four writers nominated here, three are women and one is a male writer with disability. 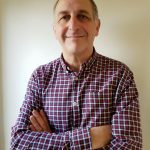 For many years, beginning with Jane Berthoud’s tenure as Head of Comedy around ten years ago, BBC Radio have been working hard to bring alternative voices to the station. This short list is a strong riposte to anyone who complains at the idea of positive discrimination towards unrepresented women and minorities. The judges chose these as the best three comedy shows for the awards on quality of script alone. We still have a long way to go. BAME writers and working-class voices remain under-represented. but with a cross-party committee at Westminster looking into “how to break the class ceiling” that’s where the political energy is about to focus. KEY TAKEAWAY: Commissioners are looking for untold stories. It doesn’t matter who you are or where you’re from … Your best stories come from that part of the world that’s uniquely yours. The winning entry for online comedy was the simple and effective Where Are You From? by Hannah George and Tasha Dhanraj, and the other nominees were Spokke, written and performed by Tim Grewcock and Sean Lothian, and Three Cool Days, from Arnab Chanda and Chris Hayward. These are all short, snappy, easily accessible online videos that you should watch. Apart from being funny, they tell you what’s happening away from the incredibly shrinking universe of TV and radio commissions. They all articulate the story of comedy creators looking beyond the traditional ways of making a career in the profession and doing it for themselves. KEY TAKEAWAY: There’s never been a better time to bring your own writing to the airwaves or the screen. In a tight contest in the TV section Mackenzie Crook’s Detectorists beat the strong contenders Lisa McGee’s Derry Girls and Inside Number 9 by Reece Shearsmith and Steve Pemberton. That short list offers a pretty good range of the kind of comedy we’re seeing commissioned across the main TV channels – Crook’s warm and gentle narrative character comedy, McGee’s hilarious coming-of-age sitcom set against the Troubles in Northern Ireland, and another series of darkly original one-off tales from the League of Gentlemen alumni. As ever in recent years, sadly there’s not an audience sitcom in sight, although Upstart Crow was a strong contender. 5) … Write An Audience Sitcom! That doesn’t mean you should give up entirely on writing an audience show. All the commissioning editors say they’re still looking for them, and pressed on this at last year’s BBC Writersroom Conference, they said that wasn’t just a platitude. Honest, they really mean it. The trouble is, audience sitcom is expensive to make, and criticism from journalism and social media is harsher than for any other form of TV. You need a thick skin and, if you’re a successful comedy performer, you can live without the hassle. On the other hand, commissioners don’t tend to get sent that many audience scripts, so even if yours isn’t selected the odds are not stacked quite so heavily against it. Spoiler Alert – it won’t get selected, but it could get you involved in working on other people’s shows. KEY TAKEAWAY: Sure, look at what’s being made. But also study the odds. A big funny audience show script will make your submission stand out. Apologies, no way round it, there’s lots of it. Look at that list of names nominated for comedy awards, 14 in all and I’m sorry to point out that 13 of them are writer-performers. In fact a better description of most of them is performer-writer, which makes it all the more galling when you consider these awards are primarily for writers. Ever since The Young Ones exploded onto our TV screens in 1982, the writer-performer has become the default first call for producers and commissioners, who spend far more time nowadays going to gigs than reading scripts. Yes, it’s annoying that for decades we were happy to celebrate the genius of Galton & Simpson, Carla Lane, John Sullivan, Eddie Braben, David Renwick, Clement & Le Frenais and Croft & Perry on the strength of their writing alone. But now you’re going to have to do more than create your perfect sitcom and send it off to a couple of producers in the hope of instant success. The good news is that the do-it-yourself alternative, which was always a high-risk, high-cost way of producing something that looked like an inferior version of the real thing, is now a viable option. And thanks to the Writers’ Guild online award you can raise your profile quite quickly. You can write your own podcasts, online sitcoms or single sketches, and get them made. You will need to get out and meet people – being a writer, that could be the hardest part – but there is an army out there of performers, camera crew, editors and marketing gurus who need you. There are millions of them, but there are only a few really good writers. Your script still needs to be brilliant of course. KEY TAKEAWAY: The internet is awash with well-made, well-performed, poorly written comedy. You can be the difference. It’s hard enough to get comedy right, making an audience laugh and cry at the same time is an even harder skill, and when it works it makes your show soar. Frasier, Friends, The Simpsons, that great trio of American sitcoms from the 90s, didn’t just add drama to the comedy, it was built into those shows’ DNA. Who can forget the powerful pilot episode Simpsons Roasting On An Open Fire?, which re-imagined the classic Christmas movie It’s A Wonderful Life. Again this news is not a source of immediate comfort to comedy writers. No, not comedy-drama. The winning shows are ‘drama WITH comedy’. That matters, because they were all made by drama departments. Drama is more glamorous, it has bigger stars and bigger budgets. And critics are always far more excited by dramas that manage to be funny than comedy that also tells a story. What’s especially relevant for comedy writers is that the winning writers in the drama section – Phoebe Waller-Bridge for Best Long Form Drama with Killing Eve; Russell T Daviesfor A Very British Scandal (Short Form); plus Jonathan Harvey for his work on Coronation Street (Long Running) – have all spent many hours at the comedy coal-face. 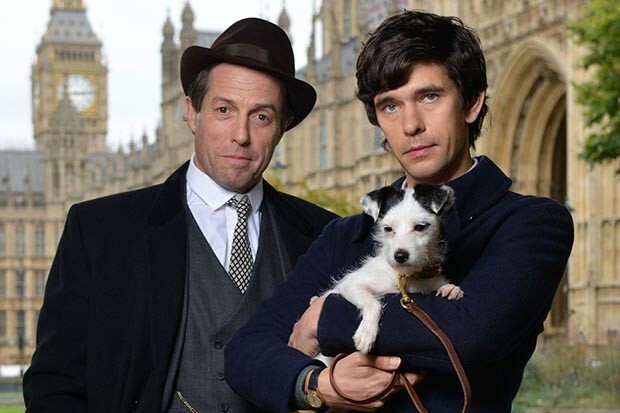 You probably know that Waller-Bridge enjoyed great accolades for Fleabag on BBC3 already. You may be less aware of the comedy backgrounds of Harvey … He wrote the hugely successful sitcom Gimme Gimme Gimme. Also Davies, best known for Doctor Who and Queer As Folk, began his career writing comedy scripts for Childrens’ TV. The solution I think is to take the comedy commissioners at their word. We need to find ways of incorporating stronger narratives into our comedy shows … We also need to explore in greater detail what else we need to do to grab their attention! So throughout this year, I’ll be blogging about ways to make your comedy more dramatic and your drama funnier. This will be useful to anyone planning to enter the BBC Writersroom comedy submission period. KEY TAKEAWAY: If you can write jokes, great. Now it’s time to learn how to tell stories. BIO: Dave Cohen has been writing and performing comedy for 35 years. His credits include Not Going Out, Have I Got News For You, Spitting Image and My Family. He writes most of the songs for Horrible Histories, including for the movie which is out this summer. His book The Complete Comedy Writer is out now. He’s also running classes in March about creating sitcom and comedy drama, and bringing out the best of both. Details HERE. I’m a comedy writer from a BAME background if Parliament wants to help me I’m all for it!